Vol. 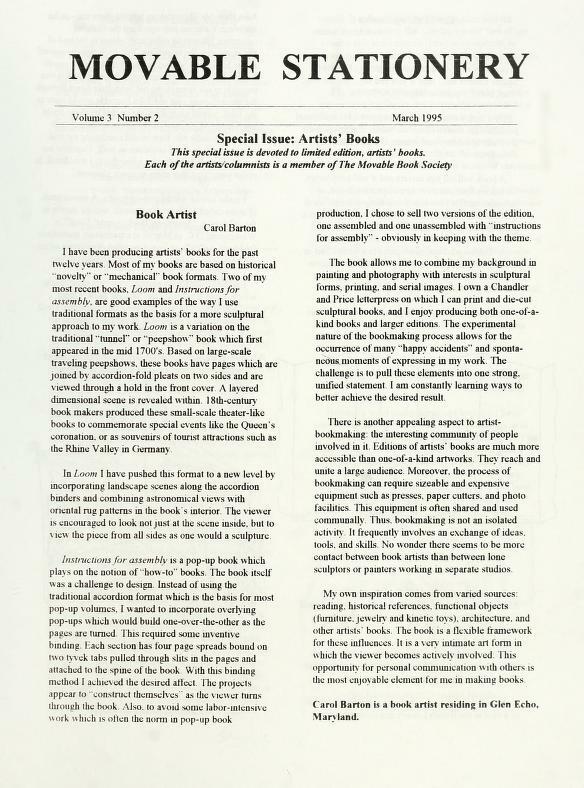 1, N. 1, Movable Book Society, New Brunswick, settembre 1993. Vol. 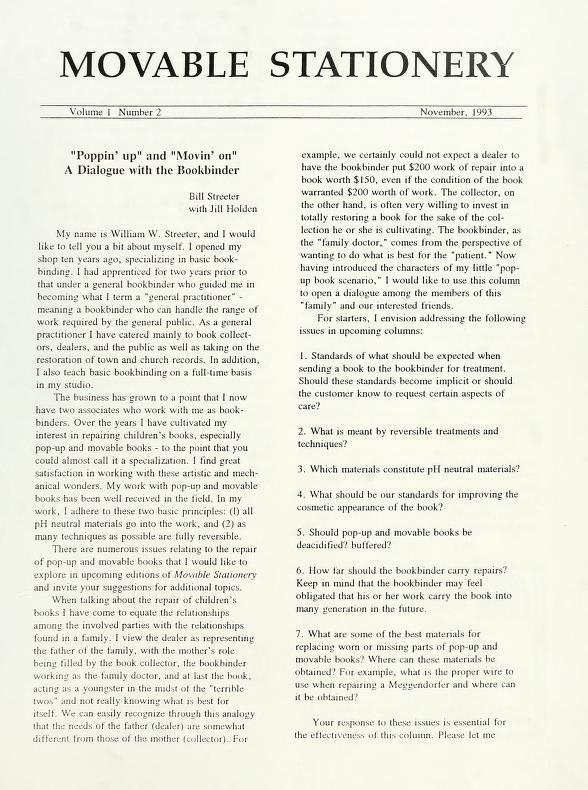 1, N. 2, Movable Book Society, New Brunswick, novembre 1993. Vol. 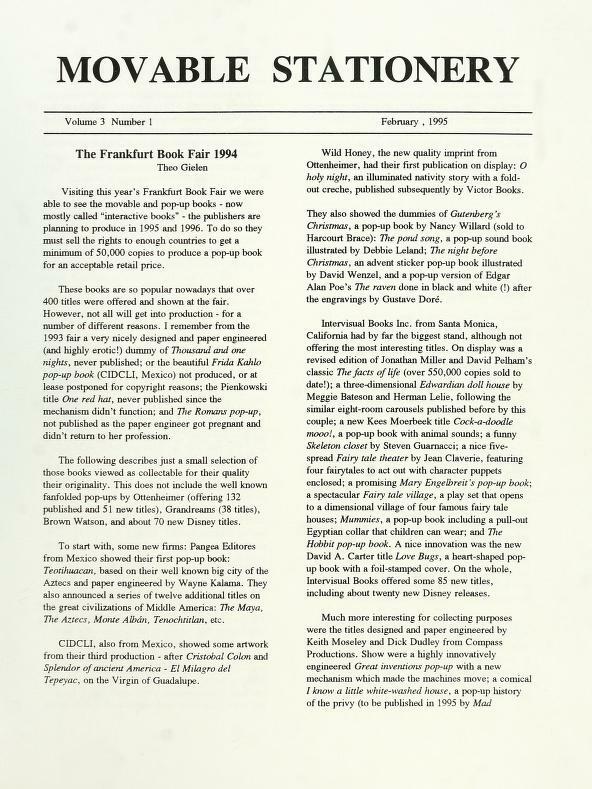 2, N. 1, Movable Book Society, New Brunswick, marzo 1994. Vol. 2, N. 2, Movable Book Society, New Brunswick, giugno 1994. Vol. 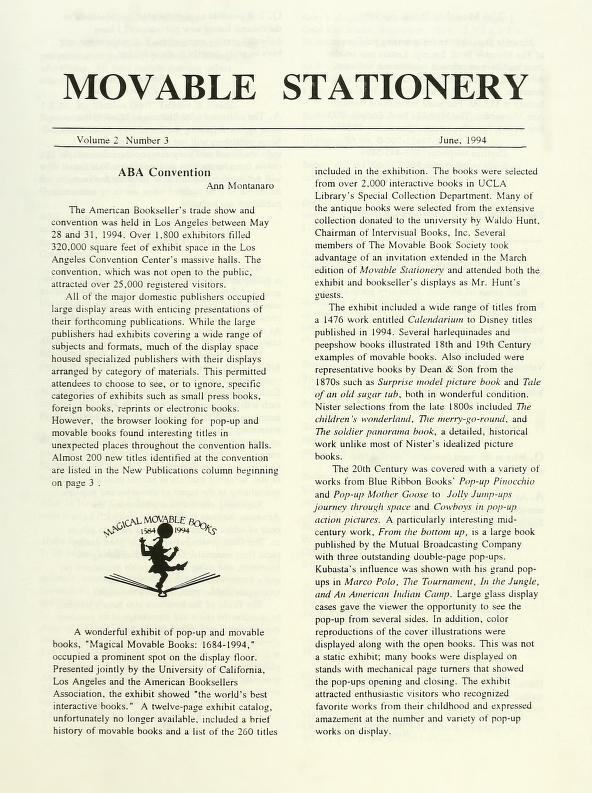 2, N. 3, Movable Book Society, New Brunswick, giugno 1994. Vol. 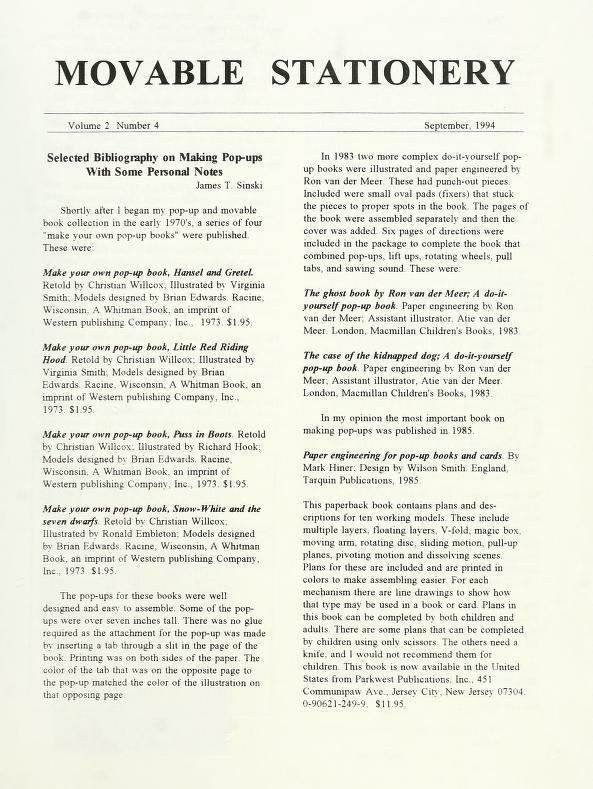 2, N. 4, Movable Book Society, New Brunswick, settembre 1994. Vol. 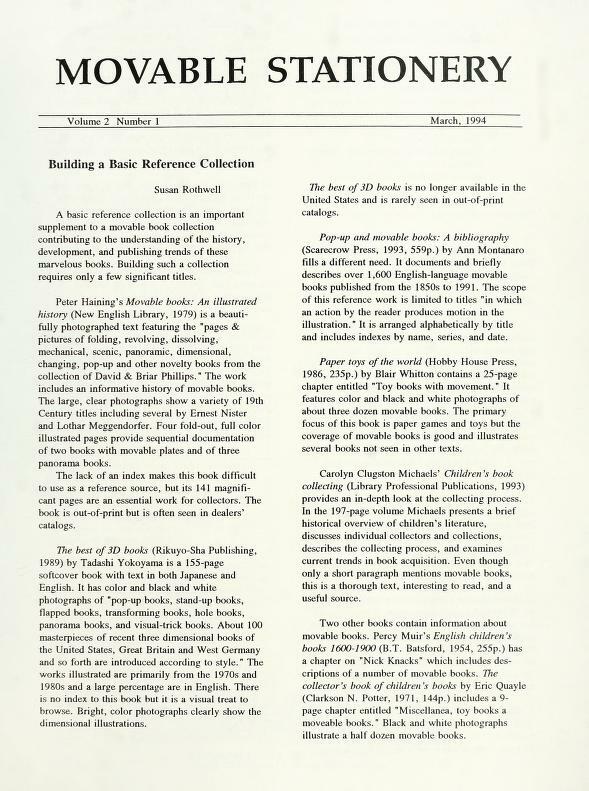 3, N. 1, Movable Book Society, New Brunswick, febbraio 1995. Vol. 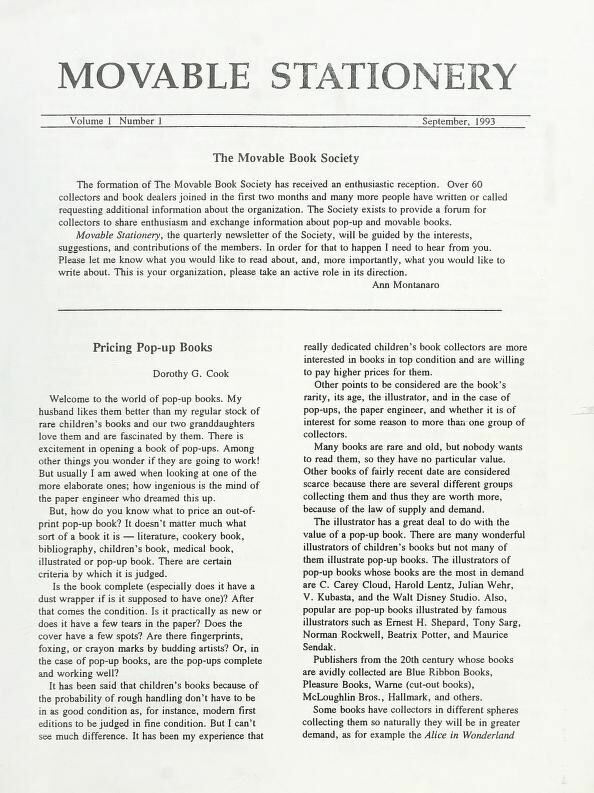 3, N. 2, Movable Book Society, New Brunswick, marzo 1995. Vol. 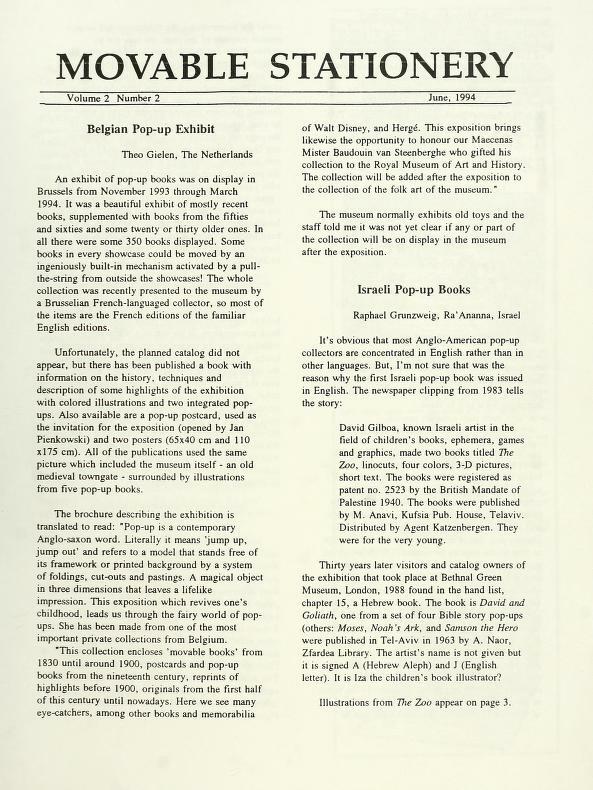 3, N. 3, Movable Book Society, New Brunswick, aprile 1995.